Boooo!!! Scared yet? No? Good. We're looking to help you make it a HAPPY HALLOWEEN this year by celebrating with savings across our Mobile Nations stores. 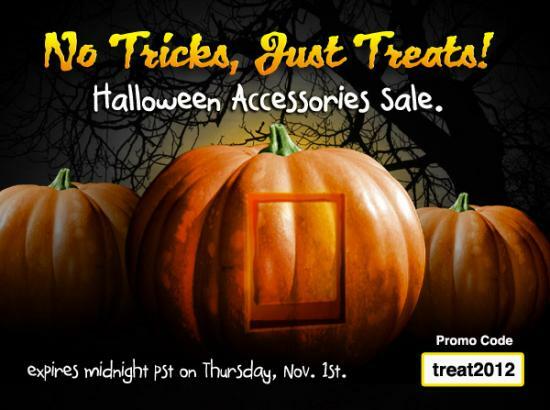 Until Thursday, November 1st at Midnight PST, you can save 15% on ALL webOS accessories at the webOS Nation Store using coupon code treat2012 at checkout. And if you have non-webOS devices in the house - don't worry, we won't judge you to your face - you can use the same coupon code at our ShopCrackBerry.com, ShopAndroid, iMore, and Windows Phone stores. Don't forget, we have free shipping on US and Canada orders over $50, and great low cost international shipping options available as well. Don't be scared out of these savings... click the link below to get started! Take me to the webOS Nation Store now!